Are we alone in the universe? Virtually every civilization on Earth has speculated about the existence of non-human beings in other worlds. H.G. Well's science fiction novel War of the Worlds published in 1898 and Chariots of the Gods: Unsolved Mysteries of the Past published by Erich von Däniken in 1968 are just two of many books which have influenced the popular belief that intelligent life exists in other planets and that advanced extraterrestrial civilizations have visited the Earth. The TV series Star Trek routinely encountered intelligent inhabitants in its fictional exploration of the strange new worlds that it visited. Although there is no scientific proof that intelligent beings from other planets have ever visited the Earth, unidentified Flying Objects (UFOs) have been reported with characteristics unlike those of any airplane or man-made flying object. Some UFOs are reputed to change direction suddenly or to accelerate at fantastic rates of speed. UFOs seen at night generally are reported to glow or emanate some light. 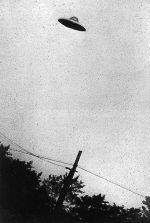 Investigations of these reports have been generally inconclusive or the observations have been attributed to weather balloons, experimental aircraft, ball lightning or other weather phenomena. Some of the purported UFOs have been created by trick photography or by photographing trash can lids or other objects thrown into the air. A UFO hoax in Morristown, NJ was perpetrated in 2009 by tying flares to helium balloons. 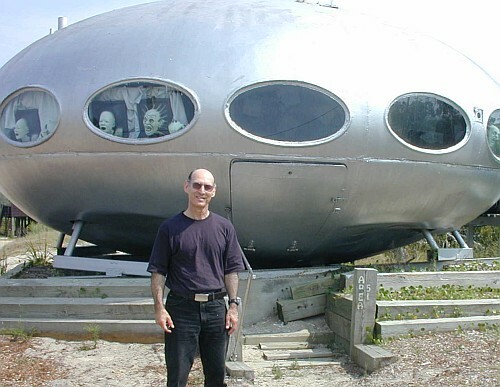 Believers in UFOs dismiss the scientific explanations and are more willing to embrace conspiracy theories in which the government or other official agencies withhold the real explanation from the general public in order to prevent panic. The conspiracy theories frequently mention Area 51, a field in Nevada used by the Air Force to test experimental aircraft and weapons. Area 51 is supposedly the location where the U.S. government stores and examines alien spacecraft that have crashed. Circles of flattened crops or reeds have been claimed as evidence of UFO landing sites, but all such cases have been found to be man-made. Most crop circles are made by tying a board with a rope to an anchor point, and then using the board to crush the plants. Some people have reported being abducted by non-human entities. The abductees sometimes say that they were examined physically or probed with advanced technology while in custody. There have never been any cases with objective physical evidence to confirm these reports. Psychiatrists that have investigated these cases have generally concluded that the patients genuinely believed that the frightening incidents had really occurred, but that the false memories were the result of deception, suggestibility or psychopathology. Many of the cases of alien abduction have some features in common with the 1953 film Invaders from Mars where a boy wakes up at night during a thunderstorm and sees a flying saucer descend into a pit nearby. The boy tells his father, and the father goes to investigate. When the father returns in the morning, he behaves oddly and has an unusual red mark on the back of his neck. Dr. Ronald Sprinkle, a University of Wyoming psychologist, studied abduction phenomena in the 1960s using hypnosis to retrieve lost memories. He became convinced that alien abductions were real, and eventually he believed that he himself had been abducted by aliens in his youth. The university forced him to quit his job in 1989 . Humans are interested in knowing whether life can be found on other planets in our solar system or in the planets of other star systems. Millions of dollars are spent every year by the U.S. government and private companies on the search for extraterrestrial life. In 1961, Dr. Frank Drake, an American astronomer and astrophysicist, wrote a probabilistic equation that bears his name and estimates the number of extraterrestrial civilizations in the Milky Way galaxy with which communication might be possible. One of the crucial factors of the equation is the fraction of civilizations that develop technologies that emit detectable signs of their existence, such as light beams or radio waves. Several terms in the equation are based on conjecture, so it is not possible to get a good estimate of the likelihood of actually finding intelligent extraterrestrial beings. To understand the difficulty of estimating the fraction of civilizations that develop a technology that releases detectable signs of their existence into space, consider what was necessary for humans to develop radio. First, the Earth had to be populated by photosynthetic organisms that changed the atmosphere by producing oxygen. Humans evolved in an oxygen atmosphere with the capacity for manual dexterity and enough intelligence to learn to use fire. The use of fire enabled humans to create ceramics and smelt metals. Experimentation with these materials eventually led to the development of the radio in the late 19th century. Approximately 200,000 years passed from the time that anatomically modern humans arose until the invention of the radio. So, humans have had radio technology for only 0.06% of their existence on Earth. Learn about Human Evolution. The search for extraterrestrial intelligence (SETI) encompasses many scientific methods to try to find signs of life in other remote worlds. Radio telescopes monitor the electromagnetic spectrum for transmissions that might have patterns indicative of civilizations on other worlds. 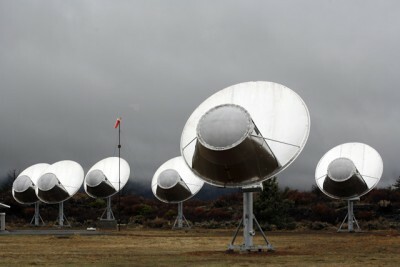 The Allen Telescope Array was established by a joint effort by the SETI Institute and the Radio Astronomy Laboratory at the University of California, Berkeley. The array of antennas is located at the Hat Creek Radio Observatory, 290 miles (470 km) northeast of San Francisco, California. The antennas are used for astronomical observations and for the search of extraterrestrial intelligence. Finding planets that might be suitable for life is another strategy for locating extraterrestrial civilizations. The Kepler spacecraft launched on 7 March 2009 was designed as an observatory to survey a portion of our region of the Milky Way galaxy to discover Earth-size planets that might be in the habitable zone (not too hot and not too cold). After identifying 2,740 candidate planets circling other stars, the spacecraft had a malfunction in 2013 that prevented collection of additional data. Scientists have been studying the candidates with ground-based telescopes to eliminate false positives and confirm discoveries. 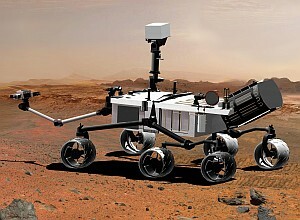 The Curiosity rover which landed on Mars on August 6, 2012 is equipped with instrumentation capable of identifying chemicals that are associated with biological processes. It is already known that Mars has abundant water. Additional exploration by the Curiosity rover may be able to answer the question of whether microbial life exists on Mars. While we look to the heavens for signs of intelligent life, we may well be overlooking non-human intelligent creatures right under our noses. Dolphins, for example, can communicate with each other and have a language of whistles that we have not decoded yet, but scientists have found that each dolphin has a unique whistle that functions like a name. Dolphins use these signature whistles to address each other. Unfortunately, dolphins don't have opposable thumbs for crafting tools, and they live in a watery environment where it is impossible to build fires to forge metals. Hopefully, we will be intelligent enough to preserve our environment long enough for our species to communicate with dolphins and perhaps find extraterrestrial life before we ourselves become extinct.